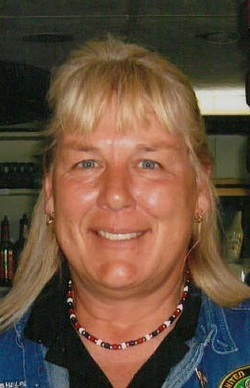 Karen Sue “Montana” Speicher Weimer, 58, of rural LaFontaine, died at 5:25 p.m., Saturday, July 30, at her home. She was born April 18, 1958 in Wabash, to James and Gladys (Grandstaff) Speicher. Karen married Rex Weimer in Wabash, Sept. 11, 1976. She was a union pipe fitter out of Fort Wayne and worked at Chrysler, in Kokomo, and on construction trades on the road. She was a founding member of Hoosiers Helping Heroes, sending out over 9000 care packages to troops since their inception. She enjoyed nature, animals, and adventures. She enjoyed reading and was an avid learner. Karen never met a stranger. She lived and loved life to the fullest with her friends, family, and nature. She is survived by her husband: Rex Weimer, LaFontaine; parents: James and Gladys Speicher, Wabash; two sisters: Sheree Dyson, Fishers; and Nina (Klaus) Robishaw, Fort Wayne; brother: Mark (Tina) Speicher, Middlebury; two nephews: Nick and Ryan Speicher; and her great-niece: Emmy Speicher, all of Middlebury; and her dog, Bella. Funeral services will be 2 p.m. Wednesday, Aug. 3 at Grandstaff-Hentgen Funeral Service, 1241 Manchester Avenue, Wabash, with David Phillips officiating. Burial will be in Friends Cemetery, Wabash. Friends may call 12-2 p.m. Wednesday at the funeral home.